Accounting is a large item in all companies. It can be very time-consuming and a big burden, especially if you do not have the time or skills to accomplish the job. Do you also need to optimize your accountings and financial management? Or you might just want an external and professional partner to help you so that you instead can spend your time and resources on your company’s core competences – and leave accounting, financial management and annual reports to a financial sparring partner. In that case, you should let Matrix Support help you with your accountings. We can take on a wide range of financial and administrative tasks, and at Matrix Support we offer financial assistance to small, medium and large companies. Most business owners and decision makers know the burden of financial statements. You might be under time pressure, or maybe you just do not have the necessary skills in-house. There are many subtasks in accounting, but we can handle them all. The accounts must be correct. Therefore, Matrix Support works closely with state authorized accountants. This guarantees you a high quality and full transparency in our work. We can vouch for the quality of all the tasks we solve for you. Should Matrix Support help you with the financial statements? We offer outsourcing of accounting tasks where we carry out the task for you at a fixed price so you know the exact cost. We do not charge extra costs, so there will not be any unexpected surprises. When there is a fixed price and deadline – then we will adhere to it! We wish to contribute where we can make the biggest difference for you. Matrix Support is always ready to offer a full solution so you can focus on your core competences. 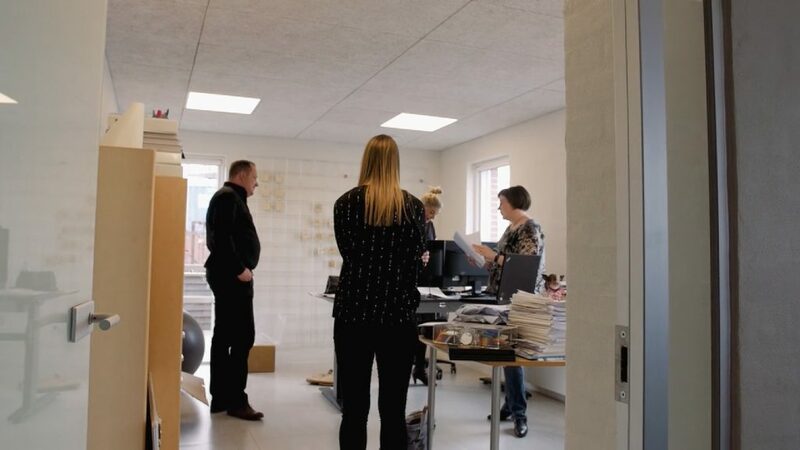 You can choose to get help internally in your office space, or externally from our own office in Aalborg or a smaller department in Aarhus. The choice is yours, and we offer flexible and tailor-made solutions to all customers. Contact us now if you need help with accounting. We are ready for an non-committal talk about your needs.